In their successful push for new abortion regulations, abortion opponents said conditions at existing facilities were unsafe. But a Texas Tribune review of recent state records showed little evidence to suggest the facilities were putting patients in imminent danger. 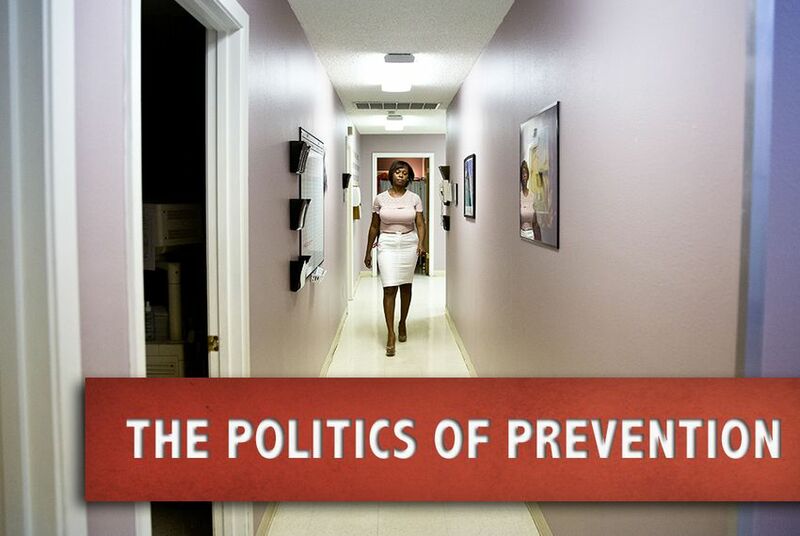 The Politics of Prevention is an occasional series on the effects of state policy on women's health services. Among the violations auditors found at the facilities, which get surprise inspections annually, were expired or unlabeled medicine, and instances in which medical staff failed to follow proper infection control procedures. In one case, auditors found that a sterilization machine was not working properly and that nurses were not trained to recognize the problem. On another occasion, auditors reported that a patient with a bleeding complication was transferred to a hospital in a private car instead of by ambulance. Most of the violations auditors found were at a Whole Woman’s Health facility in Beaumont, which took immediate steps to remedy the problems and had its correction plan accepted by the state. A health department spokeswoman could not say any of the violations were linked to patient complications, citing confidentiality rules. But state health officials have not shied away from making Texas abortion facilities pay for their shortcomings. In 2010, they levied a $119,000 fine against Planned Parenthood Trust of South Texas for failing to acquire licenses for three facilities that began prescribing abortion-inducing drugs in 2005. Planned Parenthood spokeswoman Mara Posada said the organization was under the impression that it did not have to obtain licenses for those facilities because surgical abortions were not performed there — and the organization did have a license for the facility that offered them. The state also levied several smaller fines — ranging from $200 to $500 — against clinics that failed to post their licensure numbers on their websites, misreported the age of gestation or failed to return a corrective action plan on time, among other violations. Although most of state’s recent inspection findings point to administrative errors as opposed to medical ones, abortion opponents have not been deterred. One group, Operation Rescue, has accused a Houston doctor of performing illegal, late-term abortions as recently as 2011. Harris County officials and the Department of State Health Services are still investigating those allegations, but previous inspection reports have revealed no violations that presented a safety risk. Abortion rights advocates say that even if the investigation uncovers wrongdoing, the doctor was operating an ambulatory surgical center that would have met the requirements of the new law. They and medical experts argue that the new regulations will lead to the closure of the majority of the state’s legal abortion providers, resulting in more women seeking out dangerous, illegal options. Since January, nine abortion clinics have shut their doors and another facility has stopped performing abortions. Two of those that closed were Planned Parenthood clinics that operated until this month; state auditors found no violations at those two clinics in their last inspections. Only six of the state’s remaining 38 abortion facilities currently meet the structural requirements of ambulatory surgical centers, and it is unclear how many have a physician with hospital admitting privileges. Hagstrom Miller said that under the new law, abortion facilities will be forced to meet even higher standards than ambulatory surgical centers. They will still be inspected annually, while ambulatory surgical centers are only inspected every three years. And doctors at abortion facilities will be required to have active hospital admitting privileges, while ambulatory surgical centers must only have a patient-transfer agreement with a hospital. Requiring doctors to have active hospital privileges would guarantee that their credentials are peer-reviewed, she added, and improve oversight of abortion procedures and continuity of care for patients who experience complications. “The goal of the bill is to improve patient safety for the woman and the child,” Horne said. Between 2000 and 2010, five women died in Texas from abortion-related complications; the most recent death occurred in 2008. More than 865,300 abortions were performed during that time period, making Texas’ abortion-related death rate, 0.57 deaths per 100,000 abortions, slightly lower than the national abortion death rate of 0.7 per 100,000. Abortion rights advocates say that is 14 times lower than the risk associated with carrying a pregnancy to term; opponents argue that every abortion comes with a terrible cost, the death of a baby. During his research on the impact of Texas’ 2011 family planning financing cuts, Dr. Daniel Grossman, a principal investigator on the University of Texas at Austin’s Texas Public Policy Evaluation Project, said he found no evidence that Texas’ licensed abortion facilities had unsafe conditions. The one safety issue he has identified is the practice of abortion self-induction — where women without easy access to abortion clinics try to terminate the pregnancy themselves. Seven percent of women whom the researchers surveyed at abortion facilities in Texas attempted self-induction before going to the abortion facility. That rate was higher, 12 percent, in cities along the Texas-Mexico border. In comparison, a 2010 research article published in the American Journal of Obstetrics & Gynecology found 1.2 percent of women surveyed at abortion clinics nationally tried to self-induce an abortion. The researchers identified 76 family planning clinics that closed since 2011 because of lost state financing, and 45 percent of women surveyed at abortion facilities said they were unable to access their contraception of choice in the three months before becoming pregnant. This story was produced with the support of the Dennis A. Hunt Fund for Health Journalism, a program of the USC Annenberg School of Journalism's California Endowment for Health Journalism Fellowships, and in partnership with Kaiser Health News, an editorially independent program of the Henry J. Kaiser Family Foundation, a nonprofit, nonpartisan health policy research and communication organization not affiliated with Kaiser Permanente.